Millennial pink may be the shade to wear for clothes this year, but for makeup, it's peach. 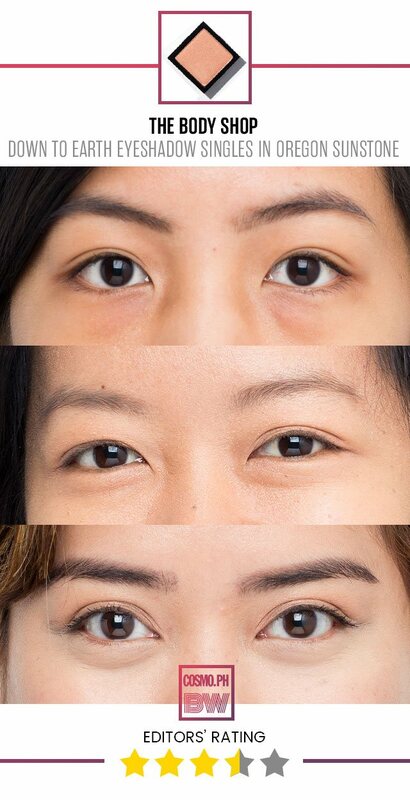 The color looks great on everyone because of its warm hue—seriously, it flatters ALL skin tones. 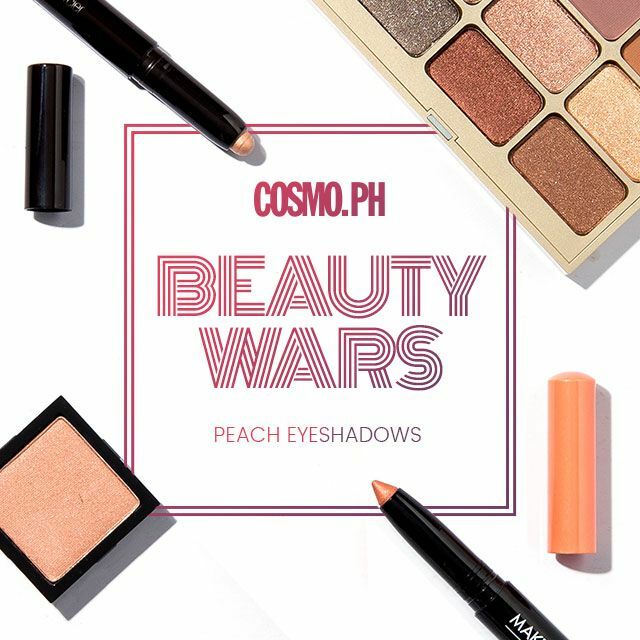 Naturally, for the fourth edition of Cosmo.ph Beauty Wars, we—surprise, surprise—jumped on the peach train and tried out a few formulas. 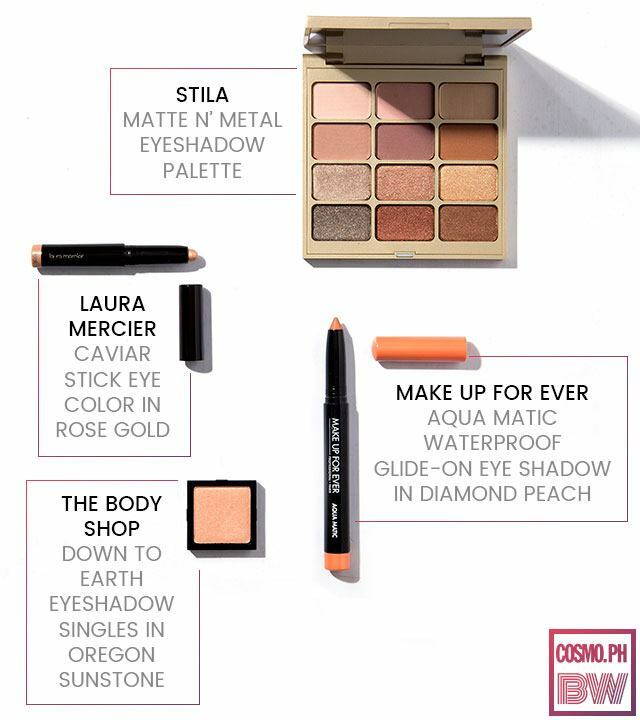 Keep reading to see which of these shadows will give your eyes that summer sunset look! What It Is: A "nature-powered" eyeshadow that can be applied both dry and wet for a vibrant color finish, each single can also be combined to form your own customizable eye palettes. Why We Love It: Aside from easily gliding on, the shade Oregon Sunstone gave our lids a soft wash of peach that's great to use every day. 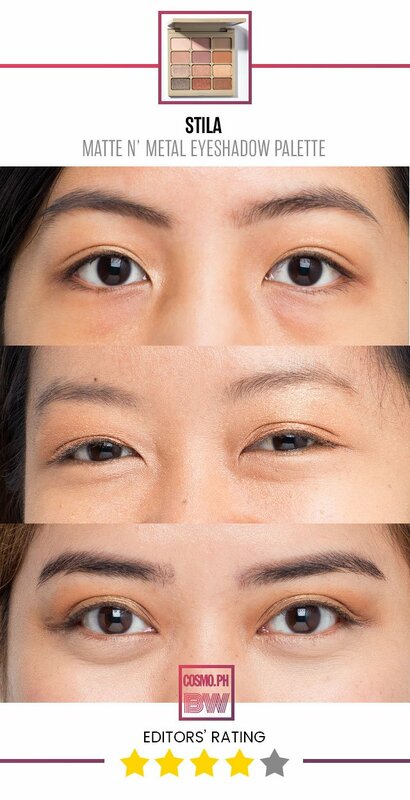 The eyeshadow's formula also had the perfect balance of cream and powder, but its staying power was not as long as we had hoped for—just around a few hours. What It Is: Convenient, vibrant, and long-wearing, the Caviar Eye Stick effortlessly applies onto lids, with or without primer. Just make sure to blend it immediately because once the product sets, it's not going anywhere! Why We Love It: Can we just say that after applying this on one eye, we were already in ~love~? True to its claims, it easily glided over our eyelids; and none of us experienced any creasing at all—even those with hooded eyelids! What It Is: Waterproof and smudge-proof, this eyeshadow pencil has an intense and "ultra gliding" formula to make it easy to blend. And the amazing part is that it has a built-in sharpener on the bottom, which ensures that your pencil is always ready to be used! Why We Love It: There's no doubt about Diamond Peach's pigment because it was vibrant (hello, eyeshadow topper!). However, because it was really waterproof and smudge-proof, blending it out was even harder to do—though it could be a good thing, if you like that type of formula. Our advice is to use eye cream before putting this on to make application easier. What It Is: A palette filled with universally flattering shades of rose gold, pewter, and bronze. The combination of matte and shimmery shadows will allow you to create dozens of eye-catching looks. 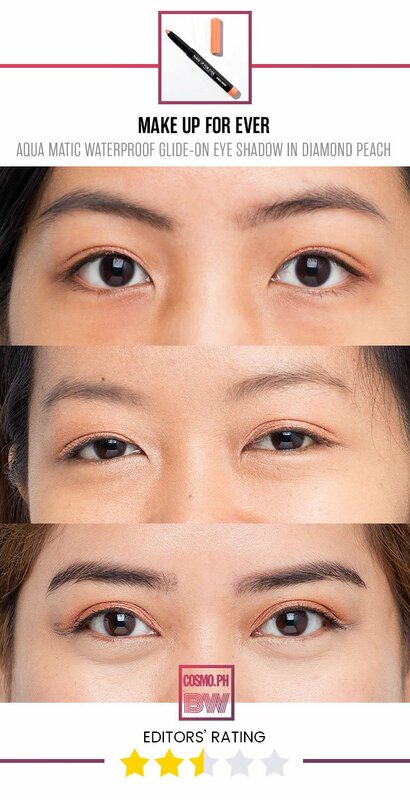 It's the color palette you need for eyes that ~*dazzle*~. Why We Love It: First things first—the colors in this palette ARE. SO. BEAUTIFUL. And the shadow's formula is long-wearing, too! 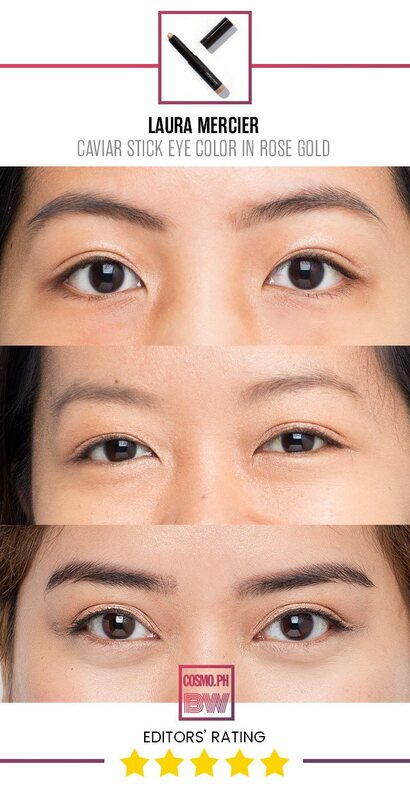 Unfortunately, those of us with deeper skin tones weren't able to properly appreciate it—the shadows barely showed up against our skin!